DAVID LE/Staff photo. 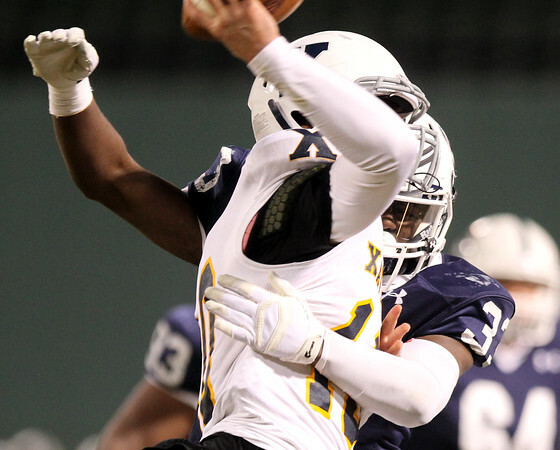 St. John's Prep junior John Churchwell (33) hits Xaverian quarterback Mike Pina just as he releases the ball. 11/25/15.